I was working for the Boy Scouts of America in the summer of 1984. I had just been promoted to a much larger district in a different council and shortly after I arrived, learned that I would be directing camp. It was an incredible time. 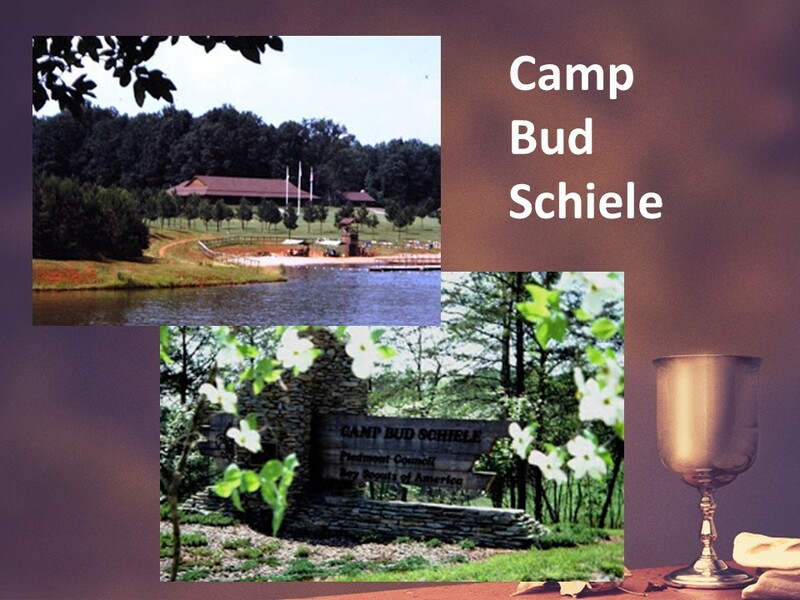 Camp Bud Schiele was a wonderful camp in the foothills of the North Carolina Mountains. As director, I held a gathering for scout leaders every morning. We’d talk about what was happening and discuss any problems. It generally lasted about thirty minutes. Afterwards, as I was the new kid on the block, I set aside time to meet one-on-one with the leaders from my district. I’d invite them to my office for a cup of coffee. We’d talk. One day, I singled out the assistant scoutmaster for the Sherrill’s Ford troop. Sherrill’s Ford is a small town located on the west bank of Lake Norman. We sat down and I started asking him questions such as what he did. He said he was a race car driver. I assumed he was speaking of his hobby. “Oh,” I said, “do you run out at the Hickory Speedway.” I’d known lots of guys into racing, having grown up in the South, and all of them would have been down-right-proud to have raced at Hickory. It wasn’t quite Nascar, but it was far better than the dirt tracks. Most Nascar drivers had started out on dirt tracks and as they made their way up the circuit, would race at places like Hickory, before going to the big show. As soon as I asked the question, I sensed he was a bit offended. “Well, where do you race?” I asked. He started listing all kinds of exotic places like Quebec and Riverside in the Cam-Am circuit. Now I was the one offended. I was thinking to myself, “Yeah, right, and I’m Richard Petty.” It seemed as if bull excrement was getting deep, so I decided to bail out of the conversation before I had to get a shovel. By the way, this was before the internet and google. A week or so later, I ran into a friend who was into racing and I asked, “Do you know of a race car driver named Elliott Forbes-Robinson?” “Yeah, he’s one of the top Cam-Am drivers in the world…” I felt a little silly and later apologized. At the time, I didn’t realize that Lake Norman was becoming a mecca for those in the racing industry. It can be embarrassing when we don’t recognize who we are talking to, but that didn’t seem to bother some of the disciples after Jesus’ resurrection. When they realized it was Jesus, it was as if their joy drowned out any embarrassment they felt. Our text today follows up our reading from last Sunday as we continue to look at the Resurrection narratives from Luke’s gospel. Read Luke 24:13-35. It’s still Easter in our text, the afternoon after word began to spread around about Jesus not being in the tomb. People are trying to figure this all out. One of the things that I like about Luke’s retelling of the resurrection is how he gives three different stories about what happened that first Easter Sunday. There is the account of the women and later Peter at the empty tomb early in the morning, which we looked at last week. Then there is the account that happens along to the road to Emmaus, which is today’s story. Finally there is the appearance of Jesus among the disciples at a fish fry which we’ll look at next week. In all three accounts, we learn that what had happened was necessary and foretold by prophets: the Messiah had to suffer, die and would rise again. In the account we’re looking at today, we join up with two disciples who are walking to Emmaus, a town which according to Luke was about seven miles from Jerusalem. By the way, we’re not sure where Emmaus is located. One of the disciples is identified as Cleopas, and we don’t really know who he is as this is his only mention in Scripture. It’s assumed these two disciples were not part of Jesus’ inner-circle (the twelve) but of a larger group of those who followed Jesus. Perhaps they were two of the seventy disciples Luke mentions in the tenth chapter, who were sent out by Jesus. On this occasion, they are walking and discussing the events of the past few days when a stranger joins them… This makes sense to me, as I have walked a lot in my life. I recall numerous occasions along the Appalachian Trail where I was talking to someone and a third person comes up behind us and, overhearing what we were talking about, adds their two cents worth. In this case, the stranger is able to open their eyes to what has happened. 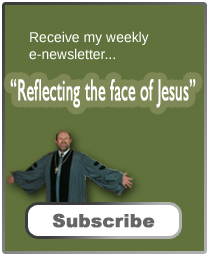 Interestingly, they do not recognize Jesus. But they must have been appreciative of this stranger’s words, for they invite him to eat with them in Emmaus. We have the sense here that Jesus is willing to just keep on walking, but when he’s invited to the table, he agrees. This sets up an occasion for him to break bread with the two disciples and it is in that act that their eyes are opened and they recognize him. The disciples are rewarded of their hospitality, perhaps foreshadowing what would later be written in the Book of Hebrews, “Don’t forgot to show hospitality to strangers, for some who have done this have entertained angels without realizing it.” In this case, it’s not just an angel, but he Lord himself. As they walked to Emmaus, I imagine them lollygagging along. Their heads are down, they’re kicking stones. They’re sad about Jesus and not sure what to think of the rumors they’ve heard. Their slow pace allows this stranger to catch up with them and join in their conversation. Afterwards, after Jesus’ opens their eyes, they run back to Jerusalem. Their pace picks up. They have a purpose. They head back to find the disciples, Jesus’ pit crew, to share their story and to hear the stories of others. This passage reminds us of the importance of sharing our experiences with Jesus. It’s called witnessing and by our witness, others come to understand and perhaps have their own encounters, creating their own memories. Our passage has obvious implications for communion. It is in sharing of the meal, which was important way of bonding in the ancient world, that they (and we) are able to encounter Jesus. Furthermore, if they had not invited Jesus to eat with them, they might not have experienced his grace. They might have spent the evening and the rest of their lives wondering who it was that opened their minds and helped them recall Jesus’ teachings. Obviously, the main message that Luke is attempt to convey in his three Easter accounts in this chapter is the understanding that Jesus, in fulfillment of prophecy, had to suffer, die and was resurrected. That’s the core belief for Christians. But we have to invite Jesus; he doesn’t barge in on his own. And not only must we invite him, we must make room for him at the table. When we do, we may experience a truth that is greater than anything we’ve known or could know. We’re about ready to come to the table in which Jesus invites us. But before you come here, invite Jesus into your hearts. Make room for him in your lives. Accept his presence and love, and live showing us his grace to others. By accepting Christ and reflecting his face to the world, you’ll experience a much deeper life that will continue forever. Amen.